MORTON WALKER, D.P.M. has long been recognized as the world's most outstanding Medical Journalist specializing in Wholistic Medicine. His usual writing topics include orthomolecular nutrition, improved lifestyle, prolongevity and safe, nontoxic alternatives for healing. He is the author of 74 published books and over 2,250 consumer magazine and clinical journal articles. 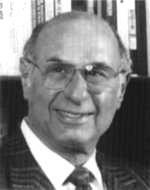 Some of his book titles include Jumping For Health, Smart Nutrients, The Chelation Way, The Complete Foot Book, The Healing Powers Of Garlic, The Yeast Syndrome, Chelation Therapy, The Chelation Answer, The Healing Powers Of Chelation Therapy, Orthomolecular Nutrition, How Not To Have A Heart Attack, DMSO: Nature's Healer, Sexual Nutrition, The Complete Book Of Birth, How To Get Into Medical School, Think And Grow Thin, Help Your Mate Lose Weight, Throw Away Your Eyeglasses, Total Health, The Power Of Color, Toxic Metal Syndrome, How To Stop Baldness And Regrow Hair!, Everything You Should Know About Chelation Therapy, Olive Leaf Extract, The Downhill Syndrome, Hyperbaric Oxygen Therapy, Prescription For Long Life, Pain, Pain Go Away, Heartburn And What To Do About It, Bald No More and Elements Of Danger. His new book due later this year is called The Gerson Therapy. A former doctor of Podiatric Medicine in practice for 17 years, Dr. Walker has been a full-time freelance Medical Journalist since 1969. He has been presented with 23 Journalism Awards including twice winning the prestigious Jesse H. Neal Editorial Achievement Award from the American Business Press, 10 of the highest research, writing and scientific exhibit awards bestowed by the American Podiatry Association, the Humanitarian Award from the American College for Advancement in Medicine, the Orthomolecular Award from the Institute of Preventive Medicine and the 1992 Humanitarian Award from the Cancer Control Society. Dr. Walker has appeared on more than 2,500 media events including radio, television, lectures, films, press interviews and more. MORTON WALKER, D.P.M. will speak on Natural Benzaldehyde Effectiveness Against Cancer with Mike Culbert, Author on Sunday at 3:00 p.m.